Along with a 28 Day minimum lease period, you can forget cramped condo's and hotels, our house is roomy, private and comfortable. Note: friends and family stay free, no lease required. Just use the calendar here to view the house schedule for the dates you want. This home has also just been completely renovated and is now being offered for selective Non-Smoking rental. 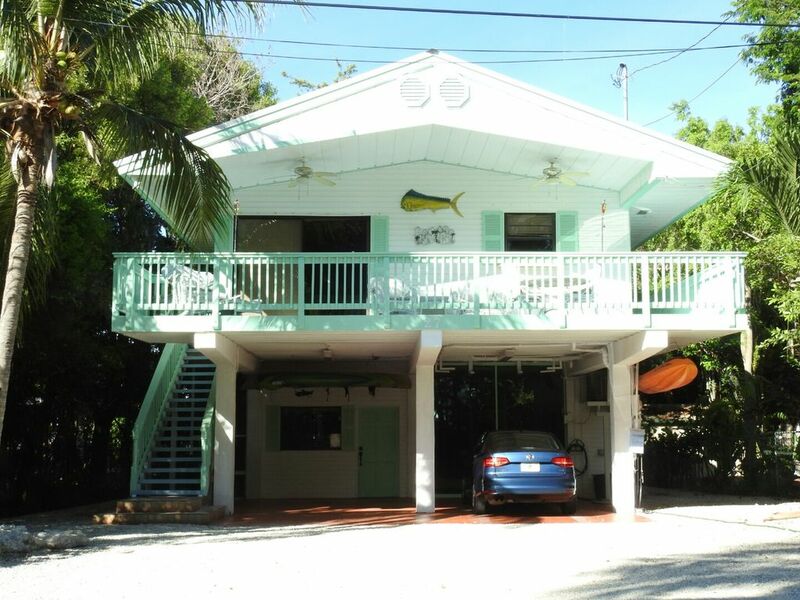 Enjoy a 500+ square foot entertainment area fully screened and separate from the living quarters, along with a private community beach and dock only steps from your front door and a quiet location so you can enjoy the sea breezes at night with your windows open. All the furnishing and amenities are new and exquisite. Quiet and sultry yet close to great restaurants, major stores, movie theaters, and attractions. The location also lies right in the middle of the fishing capital of the world! If fishing is not your bag, enjoy snorkeling off the Florida reef, only minutes away from John Pennekamp Park, Dolphin Cove and Dolphins Plus (where you can swim with the Dolphins), Theater of the Sea, the Florida Keys Wild Bird Center, and more. After a full day, kick back and enjoy the world's best sunsets!! This is my 'get away' form a very hectic work life. It is 'one particular harbor sheltered from the wind'. Unfortunately, I don't get there nearly as often as I like. Work places too many demands on my time so, my friends can often avail themselves to its relaxing atmosphere and comfortable surroundings. This is a small but very comfortable place. It is just what I like and so many of my friends are thrilled with their stays. It just has its own fascinating charm. Hard to say what its truly unique. There is a special combination of surroundings and atmosphere that simply make it a very special little oasis.